Great allowed early check in as we had an early flight. Good, central location with fantastic views over the bay. The location was fantastic. There was plenty of space in the apartment. Location was excellent. We used it as a base for a cycling holiday. Being close to the centre was really important to us. 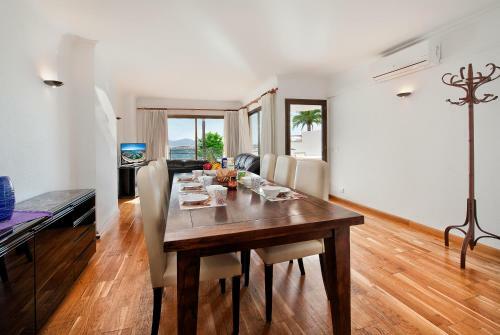 Lock in a great price for Anita Apartments - rated 8.4 by recent guests. 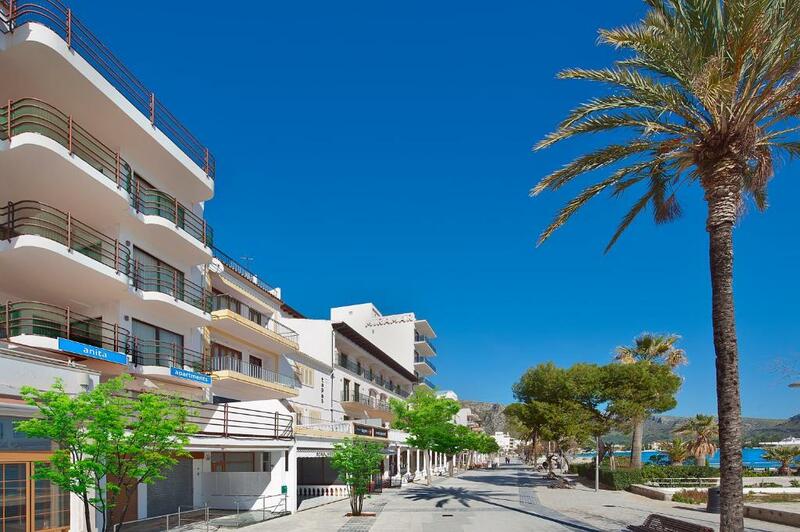 One of our top picks in Port de Pollensa.Set next to the beach in the Pinewalk area of Puerto Pollença, Anita Apartments offers modern air-conditioned apartments with free Wi-Fi and a large furnished terrace with sea views. Each apartment comes with a living room with a sofa, satellite TV, CD and DVD player. The private bathroom comes with a hairdryer. The well-equipped kitchen includes a dishwasher and washing machine. There are lots of shops, bars and restaurants within a short walk of the apartments. Free parking is available nearby and you can hire a car or bicycle at the tour desk. An airport shuttle service is available for an extra charge. This is our guests' favourite part of Port de Pollensa, according to independent reviews. 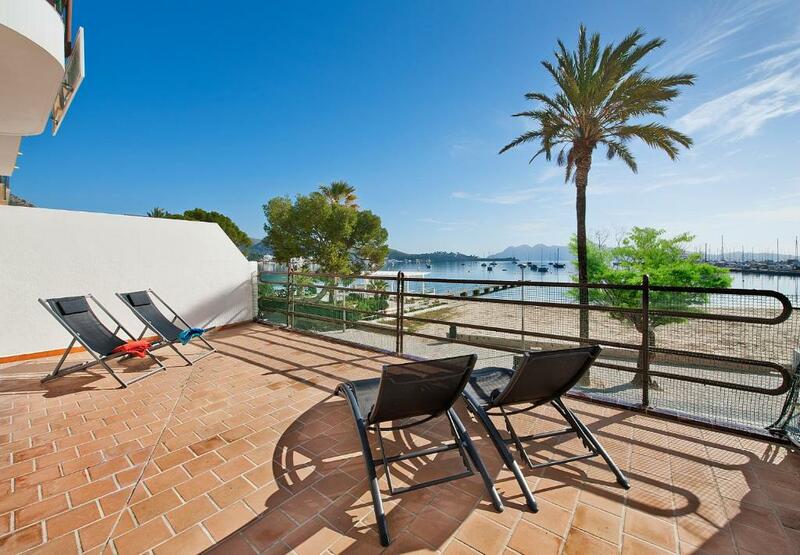 This property also has one of the best-rated locations in Port de Pollensa! Guests are happier about it compared to other properties in the area. Anita Apartments has been welcoming Booking.com guests since 27 Sept 2012. When would you like to stay at Anita Apartments? Modern air-conditioned apartments with free Wi-Fi and a large furnished terrace with sea views. Each comes with a living room with a sofa, satellite TV, CD and DVD player. 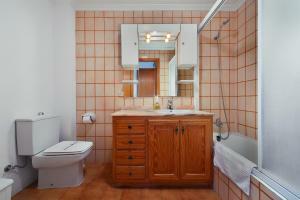 The private bathroom comes with a hairdryer, and the well-equipped kitchen includes a dishwasher and washing machine. 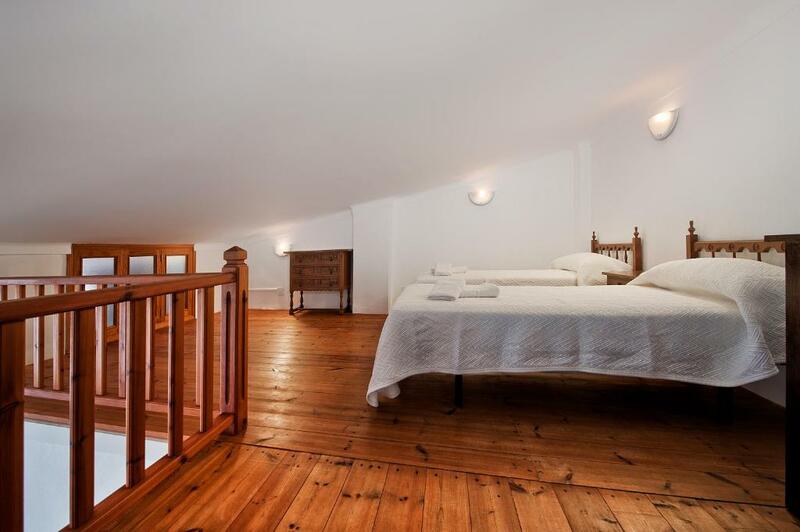 This apartment features 1 double room and a twin room located on the mezzanine. Please note that wheelchair access is difficult in this room. Anita Apartments son unos apartamentos en una maravillosa zona de Puerto Pollensa, justo delante de la playa y el mar es el lugar ideal para unas vacaciones familiares o un "break" con amigos. Dada su ubicación, tiendas, restaurantes, supermercados ... están solo a unos pasos caminando. House rules Anita Apartments takes special requests - add in the next step! Anita Apartments accepts these cards and reserves the right to temporarily hold an amount prior to arrival. Please inform Anita Apartments in advance of your expected arrival time. You can use the Special Requests box when booking, or contact the property directly with the contact details provided in your confirmation. Slightly scary balcony with a toddler but everything else made up for it. Noise from flat above during the night. Sound proofing between apartments is not very good. Noise from workers outside. Cleaning under the beds. Bathròoms and kitchen grubby and very dated dark and dingy. Beds so hard .no bedside table no headboard very basic. The bathrooms and kitchen required refurbishment. The terrace and views were amazing! The overall condition of the property is very poor. 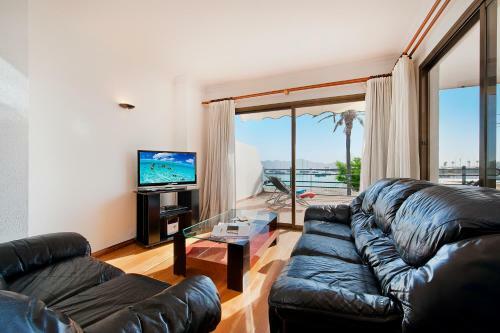 I've stayed in several Pine Walk apartments and many other apartments in Puerto Pollensa and this was the worst. It is in dire need of updating The bathrooms and kitchen are particularly poor, with the constant smell of urine from the bathroom. The kitchen was very poorly appointed with sufficient crockery or utensils for cooking and we had to stop using the microwave as it was sparking and was dangerous. There was also a cockroach which was not appealing at all. There seemed to be a lot of noise from the upstairs apartment in the early hours before we left which sounded like cleaning staff were cleaning the apartment which wasn't appropriate at 5am. I would not recommend the accommodation at all. The property needed renovating. 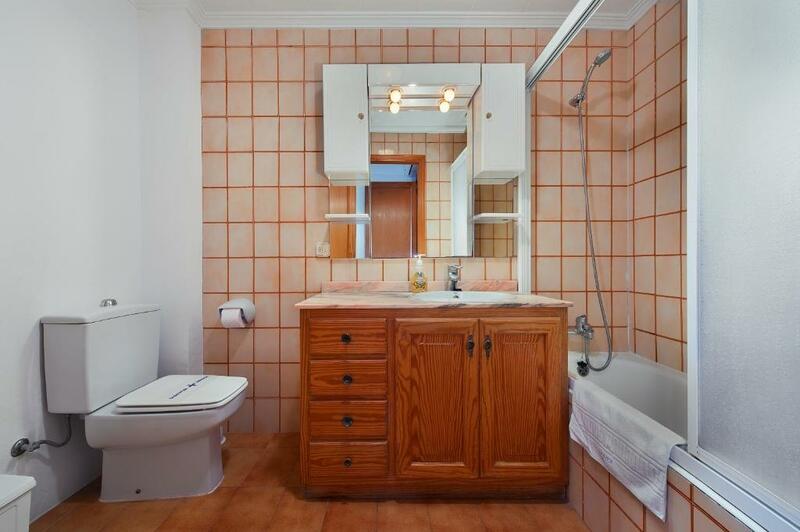 The bathroom were in a poor condition - leaking from the base of the taps in the ensuite, the door stuck in the main bathroom and the fittings were rusty. The kitchen was unclean - not because of the cleaner who did her very best but because the marble sides were cracked and therefore unhygienic, the rack above the sink was rusty and the place as a whole was sticky where years of products had built up. Like other reviews before ours, we lived the location but the place needed investment. A real shame for an otherwise lovely place to holiday.